North China University of Water Resources and Electric Power, No.36, Beihuan Road, Zhengzhou, Post Code: 450045, China. 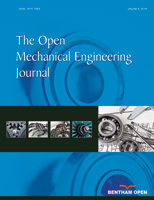 A rub-impact mathematic model of an Asymmetrical rotor-bearing with nonlinear oil film force is built in the paper. The bifurcation diagrams of the response were given following the changing of ratio of stiffness. We analyzed the bifurcation and the chaos character of an Asymmetrical rotor-bearing with operating rotor stiffness changing, then we get the dynamical character and the law when the rubbing happen. The nonlinear dynamic behaviors of the system were studied by using the numerical value integral and Poincare mapping methods. By analysis the process of rub-impact, it is so complex and many low frequencies with large amplitude are in the range of 0.3~0.6 X. The way of period-chaos-period and the phenomena of diverging backward whirl are discovered when the rubbing happen. These results provide important theoretical references for the safety operation of generating sets and the exact identification of the faults in rotating machinery.